Creates a microporous sponge which holds the water in the soil. 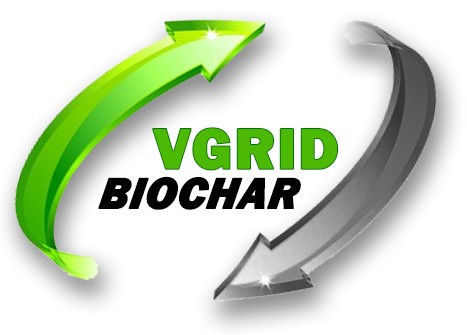 V-Grid biochar is made with a High-Temp process that produces almost pure carbon that can remain sequestered long-term in the soil for 1000s of years. Other biochars, which are made at lower temperatures, have problems with residual hydrocarbons (such as PAHs) and can release CO2 and methane as they decompose. 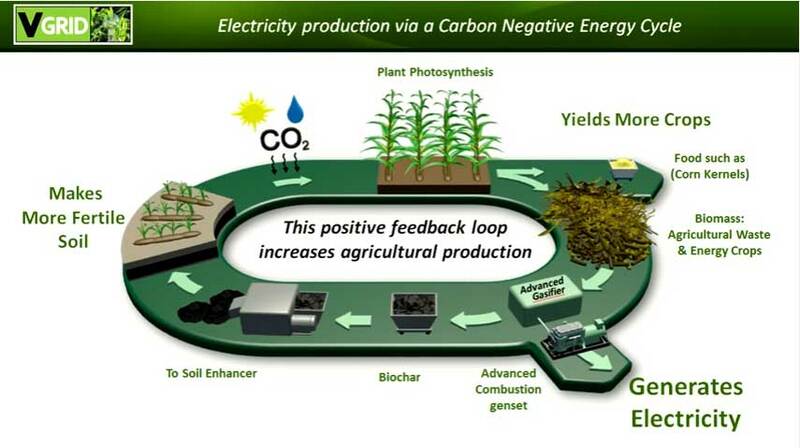 If biomass is used as the fuel to make electricity, and some of its carbon is converted to stable, high temperature biochar, and buried, the process effectively removes carbon from the air on a permanent basis and, thus, is considered carbon negative. 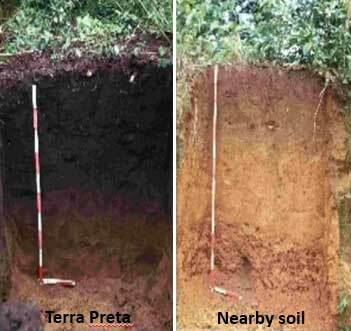 A breakthrough occurred a few decades ago in the Amazon rainforest with the discovery of super-fertile Tera Preta soils which demonstrate that plant carbons can stay in the ground for hundreds of years under special conditions and provide a tremendous productivity gain for humanity. Experimenters have attempted to duplicate this ancient carbon with pyrolysis biochars which improve soil productivity for a while, but can oxidize in a few years. 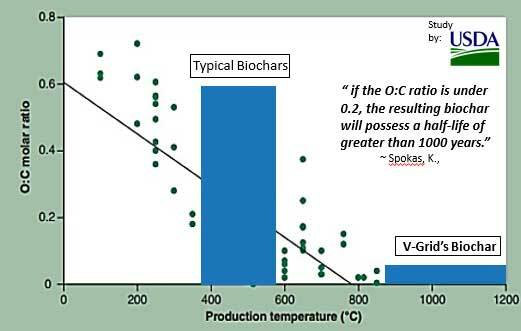 Per the above USDA study, the biochar must be formed at very high temperatures to be oxygen-free and, thus, have long term stability. 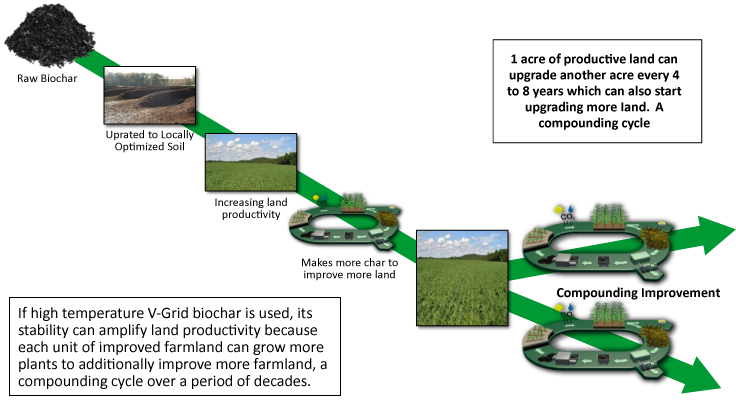 V-Grid biochar formulations are based on Terra Preta. 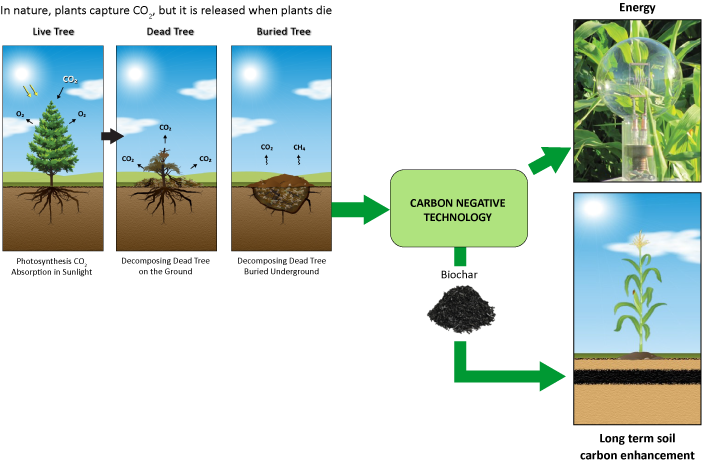 V-Grid’s high temperature process can make biochar which is uniquely capable of sequestering carbon for the long term.